Define the innovative, technologically advanced design strategies employed in projects drawn from several Architectural Record's Stadiums Building Type Studies and project overviews. Explain how a variety of design approaches can be strategically used in stadium design in order to win over a crowd. Discuss how the design teams handled energy-efficiency concerns on a number of these highlighted projects. Describe the range of materials employed on the featured stadium projects. This course shares design insights and approaches used on several stadium and sports facility projects in the United States and abroad that have been featured in Architectural Record Stadiums Building Type Studies and/or project stories. The focus of this content is on design innovations that are meant to draw in a crowd and bring new technologies into the process. Giving 'Team Building' New Meaning: Designers and contractors rely on collaboration to complete a stadium a year earlier than originally planned. Sports facilities range from Olympic and World Cup venues and professional team stadiums to high school and college facilities. Professional sports team owners often push the envelope in their quest to build excitement for and attendance at their events. Two team clubhouses, 18 practice fields, and a Native American community park encircle the stadium, achieving LEED Gold certification for the project—a first for a baseball stadium and MLB complex. 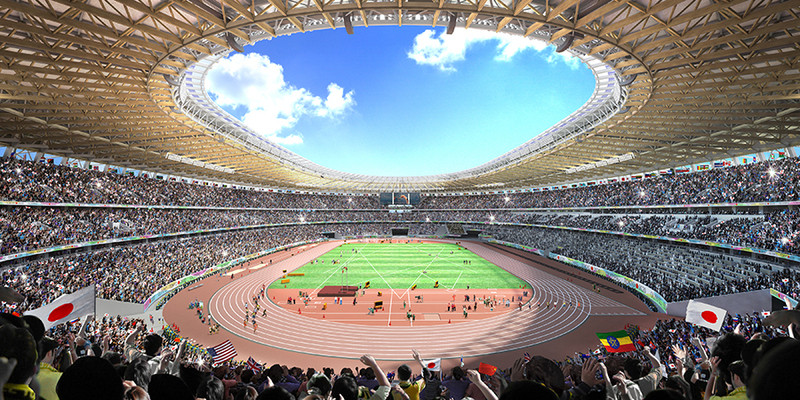 In December, Japanese officials announced their selection of Kengo Kuma as the architect for Tokyo’s 2020 Olympic Stadium. Kuma spoke to RECORD's correspondent in Tokyo, Naomi Pollock, about the project. When the United Kingdom’s premier tennis venue recently replaced the high-intensity discharge (HID) lamps at Centre Court with advanced LED sports lighting, the owner, All England Lawn Tennis Club (AELTC), tasked ME Engineers to revise the controls, which had been installed in 2009 along with the HIDs and the stadium’s retractable roof. Downtown sports stadiums are a mixed bag. While they can attract tourism dollars and spur development, they aren’t always good neighbors aesthetically. Many rise abruptly, big, and opaque, looking like downed spaceships.